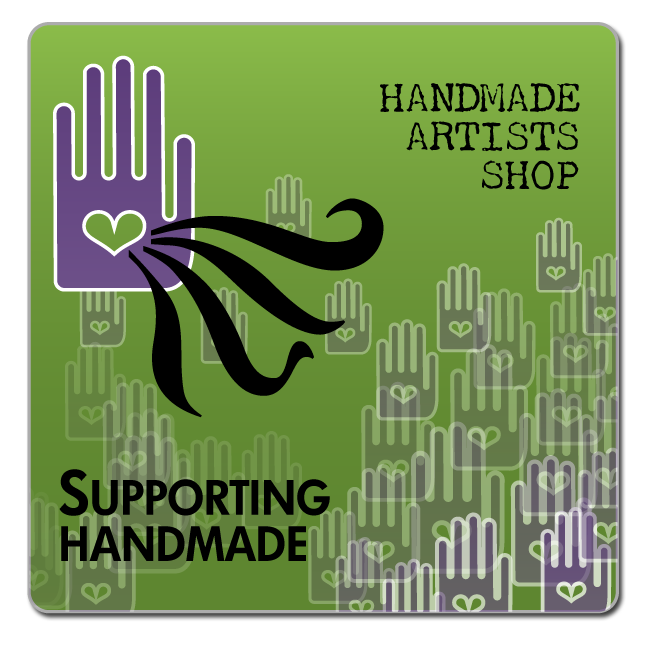 Handmade Artists' Shop is an online venue that sprung out of a group of artists from The Handmade Artists' Forum. The forum is a small growing community of artists and crafters that have banded together to discuss their art and talents. This community of people come from a variety of backgrounds with many varied talents in short we are a diverse group with one thing in common, we love creating beautiful handcrafted items. The Handmade Artists’ Shop started solely as a venue for our forum members to sell their goods, although there are many different online selling venues out there our members were looking for a safe, secure venue where they can support each others efforts in marketing their wares. So please enjoy your shopping experience with our artists and feel confident that they have put a lot of love in their work.